What would a mental deficiency nurse in 1919 working with people with what we now call learning disabilities make of the profession today? Would they recognise it or be completely at a loss? There have been seismic challenges of course in the past century. Many of the big institutions have closed and society has changed. However, the reality is that we still have institutions – assessment and treatment units where people stay longer than they should because of insufficient provision to support people with learning disabilities and autism live in the community. As the Winterbourne View scandal in 2011 showed, and other failures of care have since been highlighted, we still have a long way to go to ensure that reasonable adjustments are made for those with learning disabilities and autism and that they are treated with the same dignity that you and I would expect from health services and society. Muckamore Abbey Hospital in County Antrim, where a safeguarding review has been ordered into the treatment of those living there, and a police investigation instigated, is the latest to hit the headlines. 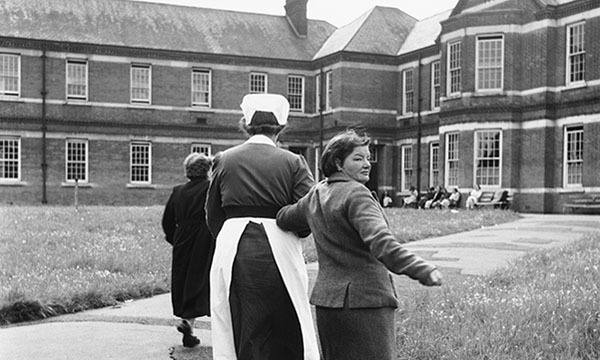 As Duncan Mitchell points out in his history article, when the big NHS institutions closed it was thought that the need for LD nurses would go too. However, LD nurses have resilience and have adapted to new roles. Addressing chronic nursing shortages is key to making sustainable change for the better, as is more training and support for you in dealing with behaviour that challenges. The UK parliament is looking into the issue of restraint and confinement and England has just included learning disabilities in its NHS Long Term Plan. There is room for optimism, so let’s celebrate this centenary and look ahead to the next one.